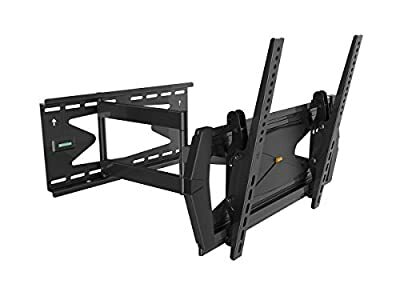 Compatible with the LG OLED55B6P 55" inch OLED 4K HDTV TV/Television, this adjustable, strong, and robust full-motion tilt/swivel black wall mount bracket with Anti-Theft Feature puts the back of your TV 3" inches from the wall when folded flat and 21.6" inches when fully extended. 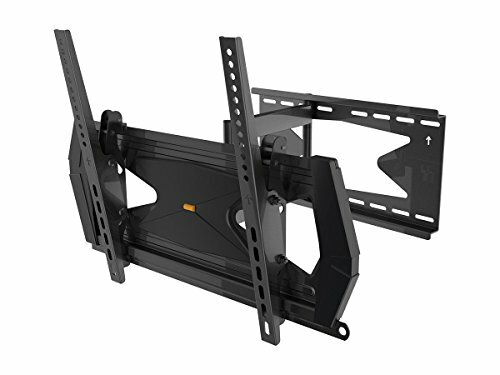 This wall mount bracket allows maximum flexibility for installing and viewing your TV. This Full-Motion Wall Mount supports most* 32" to 55" LED/LCD/Plasma TVs weighing up to 88 lbs and features a +5 to -10 Degree continous tilt and lateral adjustment that alows easy viewing from any angle. 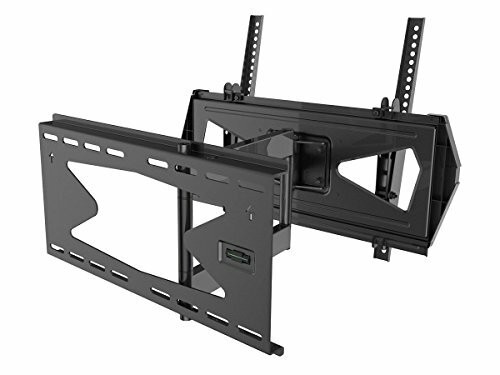 Will fit most small to mid-sized flat panel plasma and LCD TVs with mounting patterns between 300x200 and 400x400. Its simple to align single bracket makes installation quick and easy and it can be mounted to a variety of wall constructions including wood stud, solid block, or concrete. It is constructed of toughened steel with a durable scratch resistant black finish and comes with all mounting hardware and simple to follow installation instructions. **This mount is only compatible with standard 16" on center stud spacing. This mount will ~~ NOT ~~ work for studs that are spaced farther than 16". *Mounting holes on television should be between 11.8" and 15.75" apart horizontally & 11.8" and 15.75" apart vertically. Compatible With: LG OLED55B6P Swivel Feature: 180? Degrees Left to Right Tilt Feature: 5? to -10? 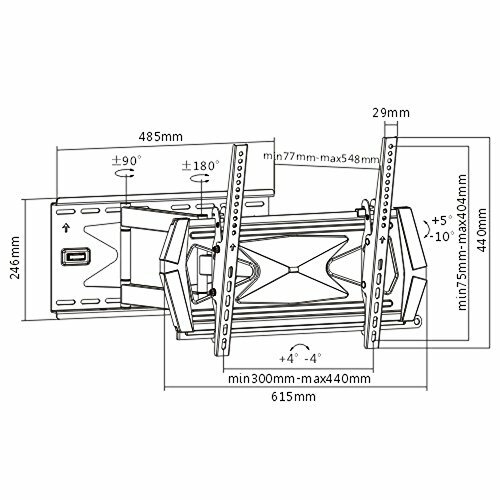 Degrees with Max Weight support of 88 lbs Long extension arm that can extend up to 21.6" inches *This mount is only compatible with standard 16" on center stud spacing. It will ~NOT~ work for studs that are spaced farther than 16".